Construction of a football-specific stadium for NY/NJ Metrostars was announced already in 2004, but after a long series of delays the project wasn't launched until 2008. Difficult negotiations with the state of New Jersey were followed by environmental cleaning of the construction site and most importantly – ownership and conceptual changes at the club. 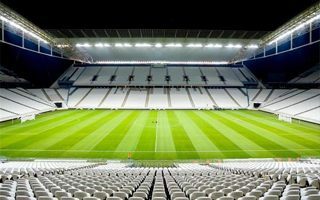 After a number of tensions between supposed partners AEG and Red Bull, the latter company bought out all of the club and stadium shares, implementing various changes in stadium design. Though designed by American office Rossetti, the stadium has a significant resemblence to Klagenfurt's Hypo-Arena. Its outer shell was covered with membrane and elliptic shape makes the stadium look 'European'. Once began in January 2008, the project went on almost smoothly, seeing precast steel frame put together fast. Altogether the 25,000-capacity stands and roof over them are carried by 9,000 tons of structural steel. With a budget of $200 million the stadium offers 1,000 business seats and 30 skyboxes, also having significant amount of room for future expansions. 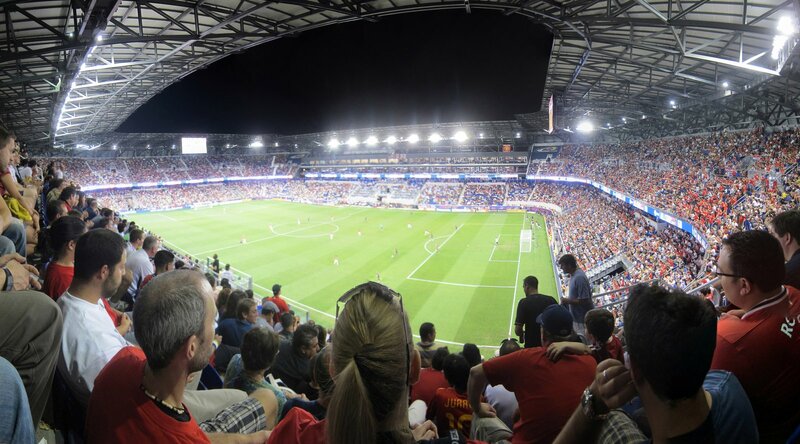 Since March 2010 the arena is in operation and used specifically for Red Bulls MLS games. While regular use isn't obstructed, the opening had to be postponed and changed because of bad weather. Instead of a youth game between Red Bulls and the USA national teams (March 13), it was opened on March 20 with a friendly against Brazilian giants Santos FC.